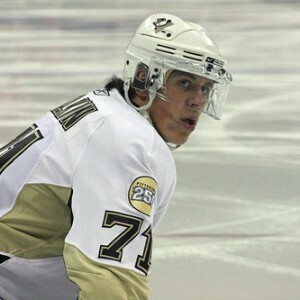 PITTSBURGH – The Pittsburgh Penguins have found a way to win games without star Evgeni Malkin this year, but on Saturday they found out they’ll need to probably do that for the rest of the 2010-11 season. The Penguins have won nine of 10 games without Malkin this season and came back from a 2-0 deficit to win last night over Buffalo after Malkin left in the second period. “We have dealt with some games without him and we’ve found our way without him and that’s what we’re going to have to look at now,” said Bylsma. Pittsburgh will also be missing Arron Asham (upper body) and Mark Letestu (knee surgery) when they face off with Washington tomorrow at 12:30pm on NBC. Penguins defenseman Zbynek Michalek missed practice with what Bylsma termed a “maintenence day” but made the trip to DC with the team and is expected to be in the lineup. The team will likely make another call-up from Wilkes-Barre Scranton (AHL). Brett Sterling and Ryan Craig will be leading candidates.